The moon waxes New later today in the cardinal sign of Aries. Aries is the first sign of the Great Wheel and brings with it Cardinal (catalyzing and initiating) energy that is filled with the potential for enthusiasm and optimism. Two things that we are sorely in need of. I know for many of us the weight of politics, philosophies, daily expectations and the effort required to bring all of these things in accord with your spiritual nature and practices has left us feeling worn out and depleted. This new moon offers the respite and renewal to reset and reclaim the catalyzing fires that inspire us to action and movement. Mother Moon – ready to push the young hatchling out of the nest, knowing that instinct will take hold and the action of flying will begin. Mercury – talkative and the director of global communication that heats up the incentives and generates the necessary buy-in for active and collaborative engagement. Venus – stretches and reaches; it’s impact hyper-focused and dynamic in wanting to stir up passion for what will be refined and honed in balanced form and essence. Note: Venus has been retrograde since Mar. 4th and will remain so until April 15th. This creates a very focused and intense ability to peel away what has become lackluster and revel in the fresh start of newly charged passion for whatever sights are set upon. Relationships-of all manner-not simply human are ready to be seen from a new perspective that is not jaded by “what has been” and ready to re-write “what will become”. Uranus – the hot-wire that sends enough power, charge and motivation to ensure that a circuit of action, will and communal inspiration will be magnetically charged as the wheels of Father Sun revolve and we start our engines towards change. 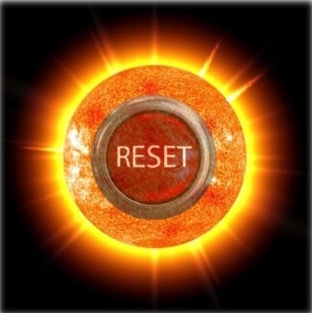 I offer this suggestion now as a new beginning and a reset for your Spirit. We have changeable times ahead and we are not only subject to the energies of our mundane experiences and the life on this planet. Cosmically, we are continually responding to planetary and astrological energy that reaches deeply into who and what we are at the level of our natal blueprint. Although, our natal chart highlights the heavens at the exact moment we were born, the beauty is that nothing is set in stone. I always tell my students to think of their charts as holding the pre-dispositions for specific archetypical energy, and those “suggestions” are subject to change and re-writing as we formulate our will to become. So, with these thoughts in mind, perhaps you will find just what you need in the gifts of a changeable Solar Year.